When you have a pier and beam foundation, you need to take steps to make sure that moisture can’t accumulate around or — even worse — inside your foundation. If you have a strong perimeter wall, that can reduce a lot of your worries. But the crawlspace door is more vulnerable to water. Here are three ways to minimize the risk of leaks and puddles around your crawlspace door. 1. Adequately space your gutters. 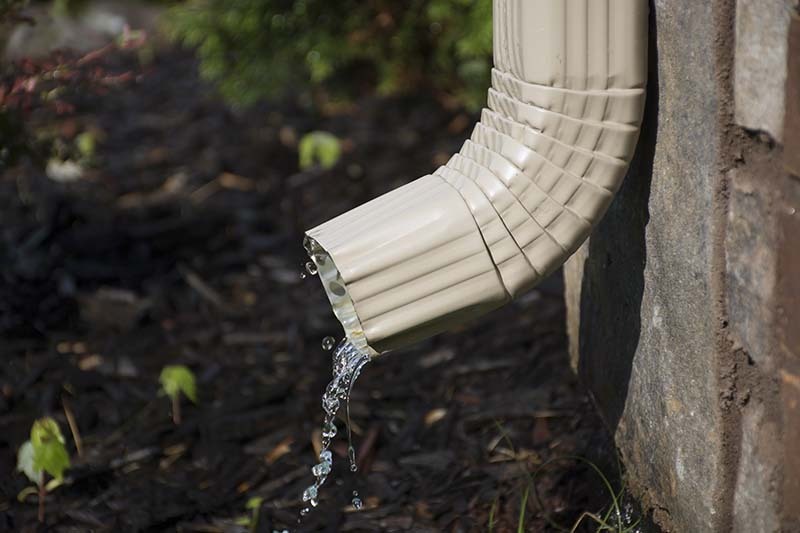 A good gutter system is a great defense against water damage, but only if it’s in good condition. Make sure you have downspouts regularly spaced around the perimeter of your house, and angle the end of the spouts away from your crawlspace door. You may also want to protect the gutters around your crawlspace door with gutter guards to prevent clogs. 2. Replace the weatherstripping around your crawlspace door. Because the door is so close to the ground, moisture and water can slip inside even more easily. Keep the door tightly shut with thick weatherstripping. Not only can that help your crawlspace hold up against potential puddles and strong rain, but it can also still protect the space if your perimeter wall settles enough to leave a potential gap. 3. Insert a moisture sensor on the inside. Preventative measures are the best way to keep your foundation safe, but sometimes all of your hard work can’t keep the water out. So install a moisture sensor on the inside of the door. Passive moisture gauges can send an alert to your phone if it detects unusual amounts of dampness in the air. It can also send you a more urgent warning if it senses water building up. If your crawlspace is damp, that can damage the wood or encourage mold, mildew, and pests to make your foundation home. Standing water can also shift the dirt around the piers. Contact us at Dodson Foundation Repair before it can.